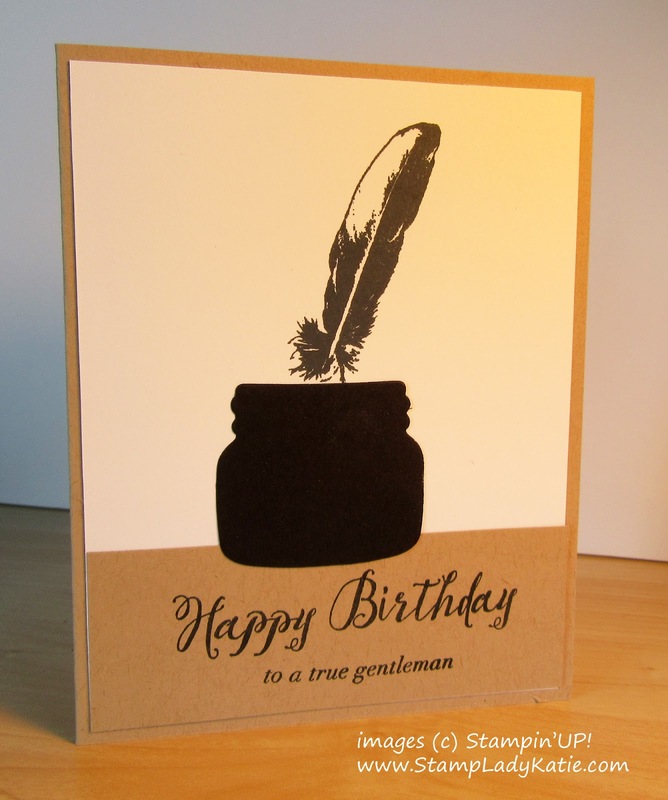 If you're like me you're always looking for good ideas for a masculine card. 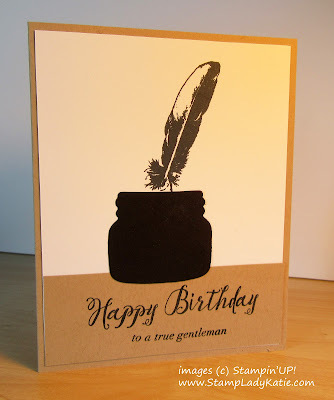 What do you think of this Feather Pen in an Ink Jar? 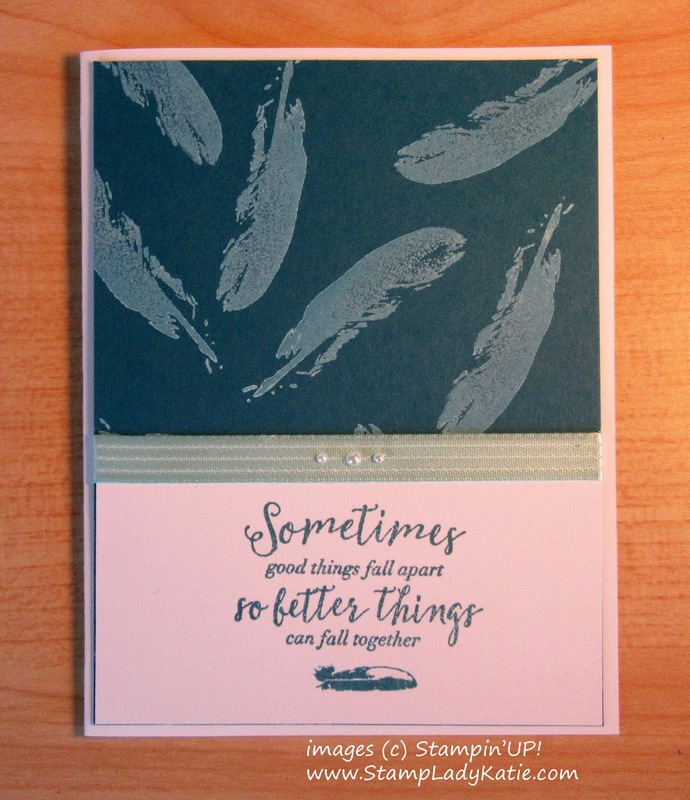 I thought this was a fun combination - and definitely a quick card. 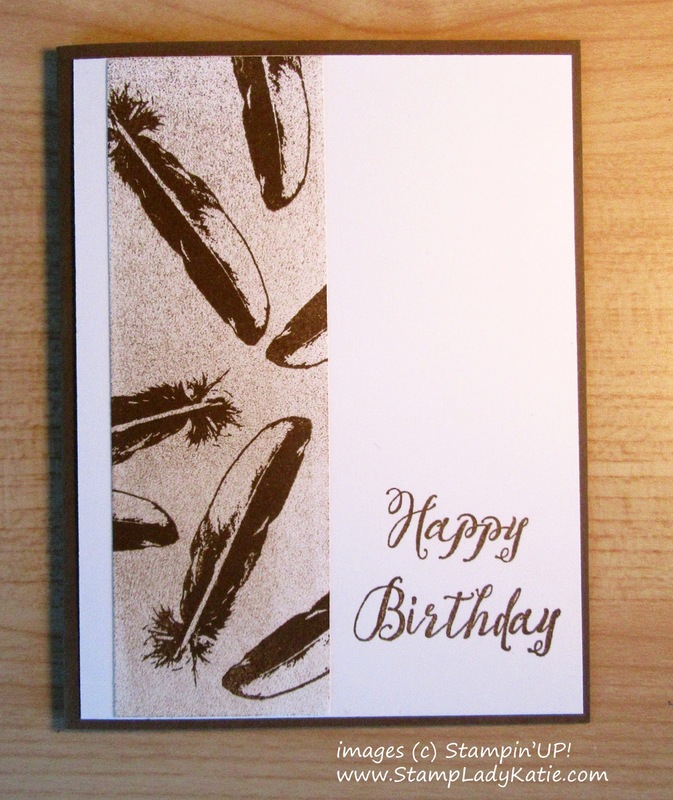 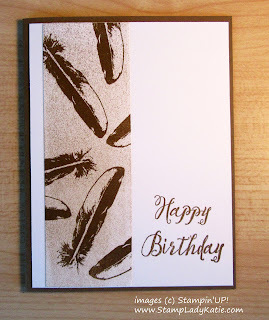 If you are looking for masculine card ideas the Feather Together stamp set has lots to offer. 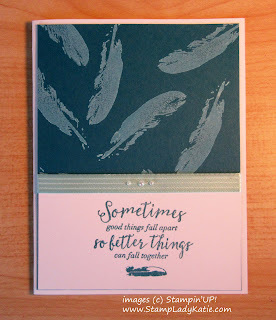 Here's a couple more cards I made with the feather stamps.